Money Midwife, Wilma Allan, delivers passion for helping entrepreneurs keep more and do more with the money they make from their businesses. 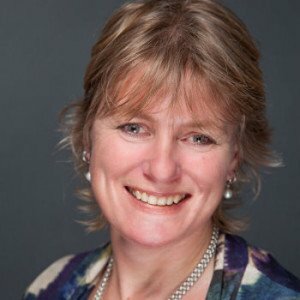 Wilma Allan is the founder of The Money Midwife which supports committed business owners to bring order, stability and understanding to their relationship with money. This allows them to optimise their money-making capabilities whilst doing what they do best in the way that suits them best. In short, this means that they have more time, energy and money with more ease. The Money Midwife vision is to transform the way money is perceived so that more and more people become comfortable with the reality of receiving more – not only for themselves but for the good of everyone whose lives they touch. When you change the way you perceive money you will change the way you receive it too. She believes that the time has come to break the taboo around money. Her vision is to shake things up – to get people talking and thinking about money in a positive and exciting way. Creating and keeping more money is only one part of living a richer, more contented life. Wilma has a direct approach to her work but also likes to keep it light-hearted and fun. She ensures that her clients understand how they relate to money right off the blocks, and then goes to work with them to re-align their relationship with money, uncovering those money habits that are tripping them up and breaking through unconscious barriers to creating more income. Wilma works with clients to over-come more subtle personal blockages to living a successful life. Knowing their top 3 money archetypes is one of key ways a client learns to understand their relationship with their money. It allows them to optimise their strengths for maximum effect, and they learn how to navigate their challenges. This is a major factor to achieving the success they are looking for.